With tax returns due in just nine days, you might be rushing to finish your submission. But beware of errors, as Which? finds one in six people believe they have overpaid their tax bill after making a mistake in their forms to HMRC. Around 11.4m people are required to complete a tax return for the 2017-18 tax year, which must be sent to HMRC by 31 January. With the number of accounts, receipts and records to be checked, it’s easy enough to make a mistake in your forms. Depending on what you get wrong, you could end up paying more than you actually owe. Which? explains how you can avoid making errors and what to do if your submission is incorrect. Why do people make errors? Tax returns aren’t necessarily straightforward. In a recent Which? survey, 28% of people reported finding their tax return difficult to complete. Unsurprisingly, people also reported making errors that ended up costing them dearly. Indeed, around 16% of people told Which? they’d made a mistake on their tax return that resulted in them overpaying their bill. What did people find most challenging? Finding receipts and records was the most time-consuming aspect for a third of people, while another 28% struggled to understand HMRC’s forms. Around 14% spent most of their time looking up definitions of tax terms, the survey found. As for what could help, around a third of people wanted a checklist of information to submit their form, while around 25% said they needed expert advice. Another quarter suggested that having examples to use as a guide would help them complete their return in future. Mistakes happen, but that doesn’t mean you need to suffer financially. If you’ve made a mistake on your return, you have a full year to submit an amendment to HMRC. So, for returns that were due by 31 January 2018, you have until 31 January 2019 to correct the record. If HMRC accepts your amendment, they’ll adjust your bill. 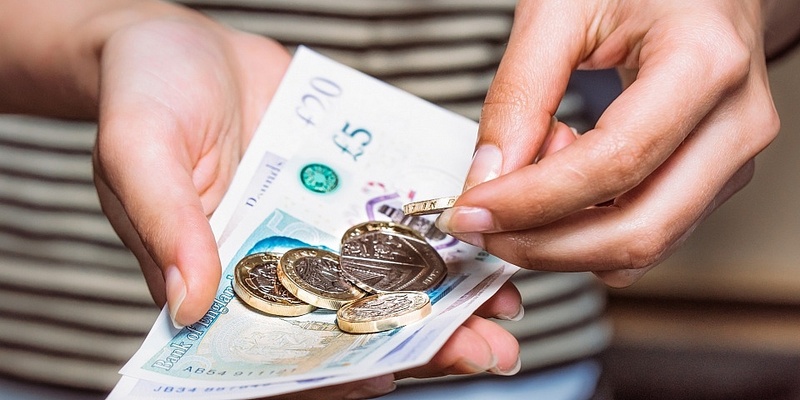 If you’ve already paid, and now owe less, you may be able to claim a refund. But keep in mind that, in some cases, your bill may go up. To amend your return, you can log in to your HMRC online account, and navigate to ‘tax return options’ to select the tax year you’d like to change. Alternatively, if you submitted via software, change your return through the program or get in touch with the provider. If you’ve filed on paper, you’ll need to submit a new return and re-send it to HMRC with ‘amendment’ written on each page, plus your name and UTR number. You can’t file on paper for the 2017-18 tax year any more, as that deadline passed on 31 October – but, if you have already filed and realise you made a mistake, you’ll have until 31 January 2020 to submit the amended forms. Should I file with missing paperwork? The 31 January deadline is looming, so if you’re still chasing up paperwork it might not arrive in time. If you’re in this situation, don’t risk missing the midnight cut-off – you’ll get an automatic £100 fine for filing even one day late, and the penalties only increase over time. Instead, submit your return with estimated numbers as soon as you can. Then, when the paperwork comes through, you can submit an amendment with the correct figures. Will I get fined for a tax mistake? HMRC has the power to fine you if you submit incorrect information and pay too little tax; you can’t be fined if you overpay due to an error. If you made a mistake but showed ‘reasonable care’, you won’t have to pay a penalty (although you will need to pay the difference). So, if you make a small mistake with your sums, or copy an incorrect amount, a penalty is not likely to be issued. As a general rule, you’re expected to keep records that allow you to make an accurate return, and to check with an expert, or HMRC, if you’re not sure about something. That said, if your affairs are more complex, you might be expected to have a more sophisticated record-keeping system. Penalties may apply if you haven’t taken care, or deliberately misled HMRC. In that case, HMRC may charge you a percentage of your tax bill, on top of whatever you’re already required to pay. If you’ve been careless, the penalty will be between 0% and 30% of the extra tax owing. If you deliberately underestimated your tax, the penalty is between 20% and 70%. If you deliberately underestimated your tax and attempted to conceal the fact, the penalty will be between 30% and 100%. If you receive a penalty notice that you feel is unfair, you can challenge it with HMRC by making an appeal in writing within 30 days of receiving the notice. You can find out more in our guide to late tax returns and penalties for mistakes.